Both of the newlyweds' mothers wore strapless, floor-length dresses. 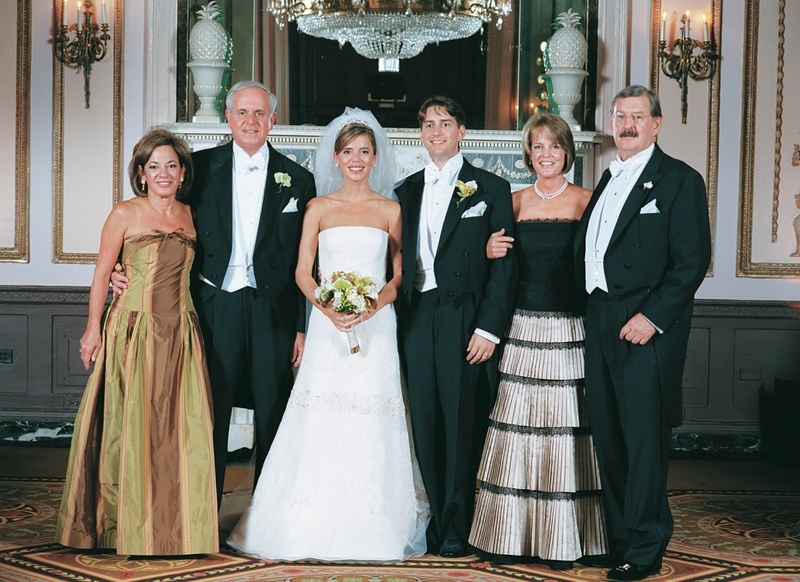 Heather's mother wore a green and brown dress in the same hue as her daughter's bouquet. Austen's mother wore a black and metallic dress with a fan-textured skirt.